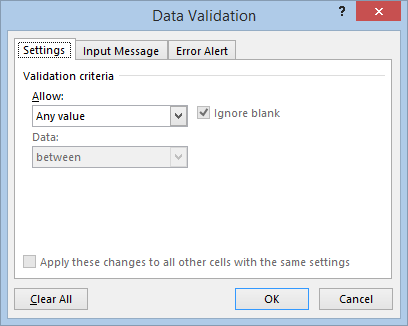 In Excel you can validate a cell through Data => Data Validation. 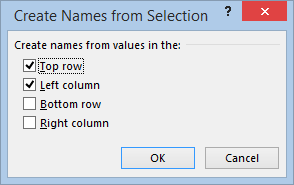 At Allow we then can choose List and then at Source we pick the range where the data are. 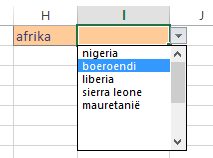 Want we want to do here is select a continent first and then automatically restrict the choice in the next cel to countries from the specific continent. We will use names here to make the stepped choices work. Next we create the name Werelddelen based on the range A1:E1. 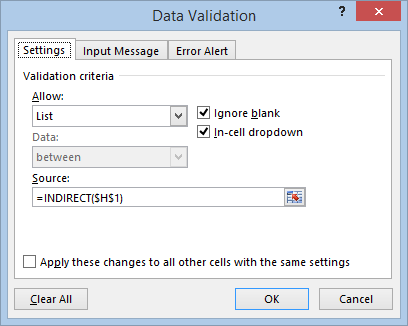 From this moment on the choice we make in cell H1 will determine the offered options of the list in cell I1. There is still a problem left: in cell I1 the choice we made earlier is still there if we make another choice in cell H1. We need VBA to correct this:. Using VBA it is also possible to make the list in cell I1 drop down automatically when we make another choice in cel H1.